I got a new haircut recently and have been joking that I feel like a whole new person! I've basically been meaning to get it cut for months now, but just kept putting it off, and now I'm totally regretting not doing it earlier. Since my haircut is fresh, it seems like the perfect time to talk about some new hair products I've been using. I've never been a big hair product person - I use dry shampoo (read my post here) if I'm not washing my hair, but that's about it. 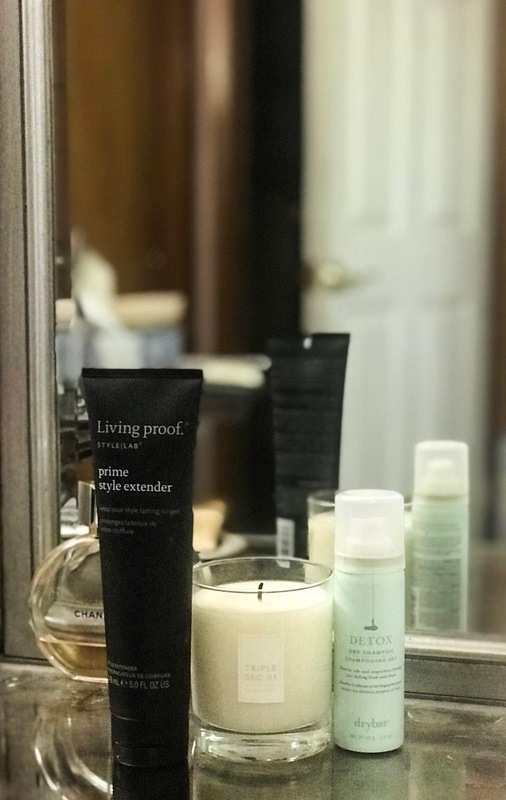 Recently, though, I started trying out Living Proof products. I first tried out the shampoo and conditioner, because I had run out of the ones I had been using, and wanted to try something new. I use the No Frizz line, and really love them - the conditioner isn't too heavy, which is great for me, because even though I have really thick hair, it also gets oily very quickly. Conditioners that are too heavy tend to make my hair get greasy even more quickly, but that doesn't happen with the Living Proof products. My very favorite, though, is the styling product that I've started using - the Prime Style Extender. I've tried out a few other products before, but I've never found one that I loved as much as I love this one! It's kind of a gel-like consistency, and you put it on you wet/damp hair, working it in from the roots to the tip. It basically does what it's name says it does - it helps extend your style. I honestly think that it helps keep my hair from getting oily for a little bit longer, which is huge for me. It also keeps it looking nice throughout the day - it stays looking smooth and polished, rather than frizzy and poufy. Have you tried out Living Proof? Or do you have your own favorite product? Let me know!